The SofiaMari 2-tone diatonic accordion offers the flexibility of 2 accordions in 1. Just change keys with the touch of a button. You'll have the flexibility to produce the sound of 2 accordions while only taking 1 to the gig! 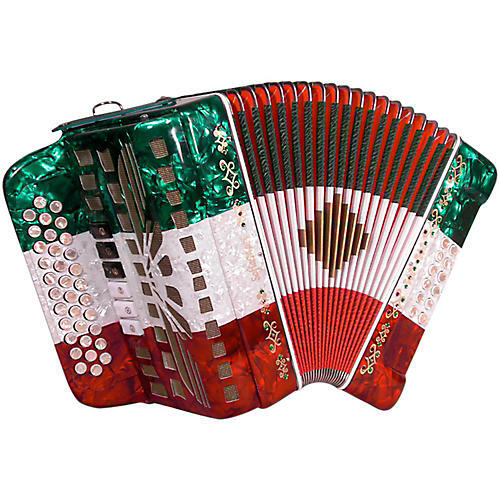 SofiaMari offers the only real budget priced 2-tone accordion on the market that we know of. SofiaMari includes a deluxe hard case with accordion blanket, a bellow protector pad, and wide leather straps with the 2-tone diatonic accordion.